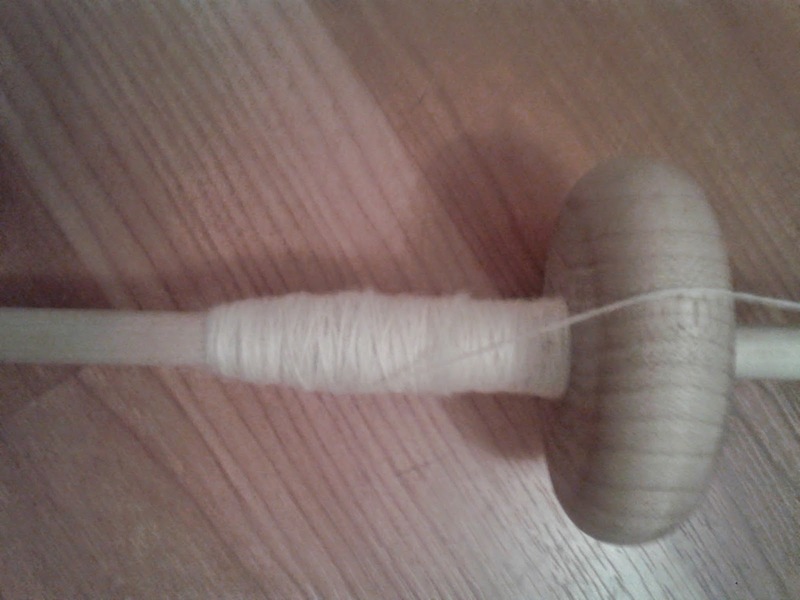 I finished spinning the white Merino and transferred it from my drop spindle to a handmade bobbin! 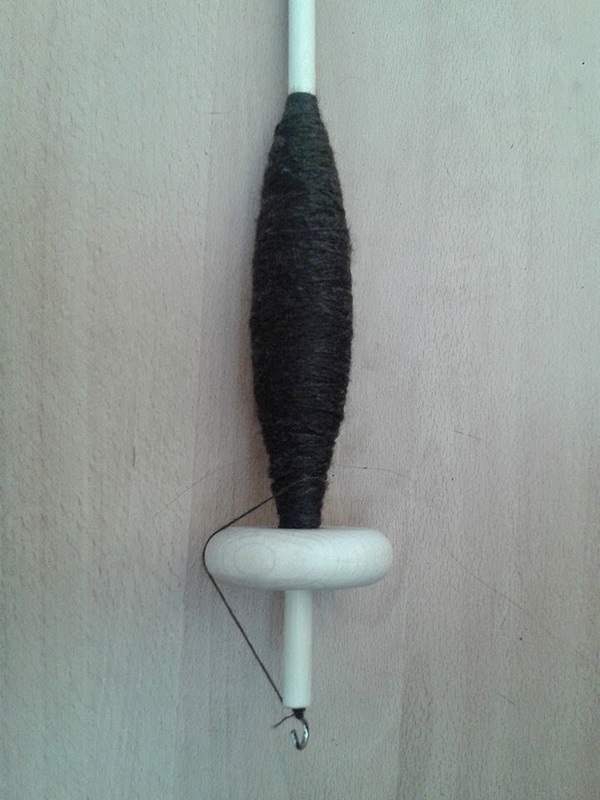 I did not take a photo of my full spindle after spinning the fibre batt. 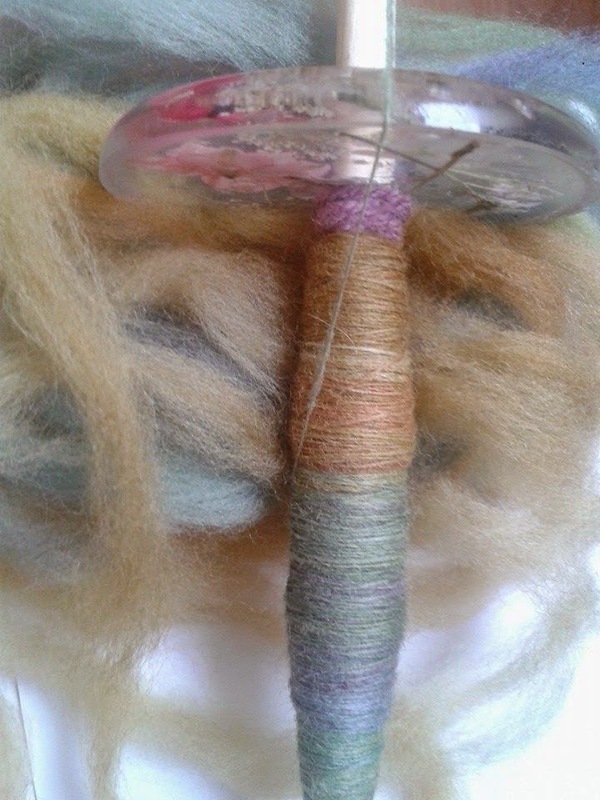 I am going to transfer the single spun yarn onto a bobbin and I think I am going to 2 ply this. 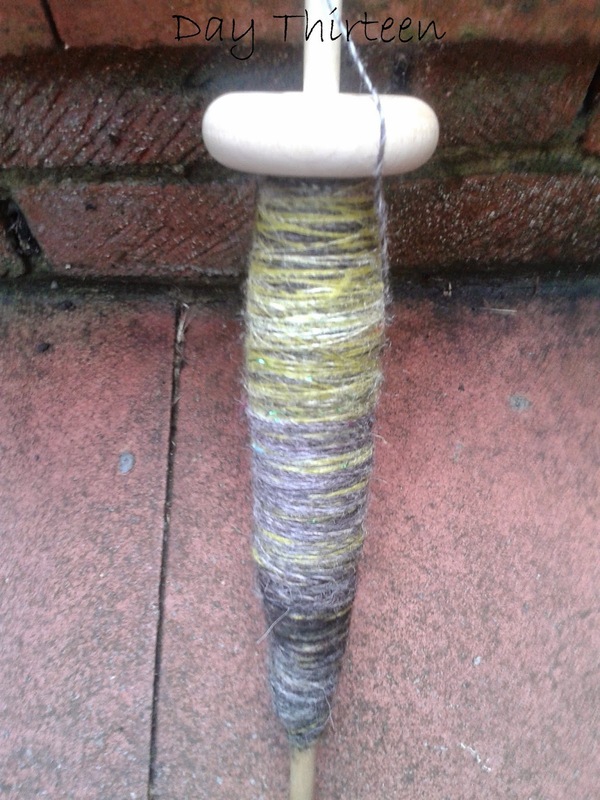 I did not get much spinning done this week as I would like to have done, but at least I am spinning everyday. 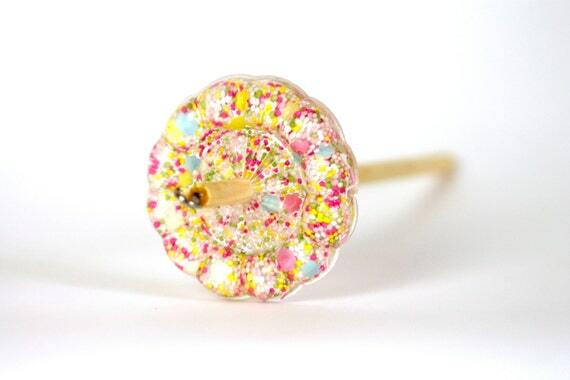 I am so in LOVE with Louise's Etsy shop SpinCityUK. 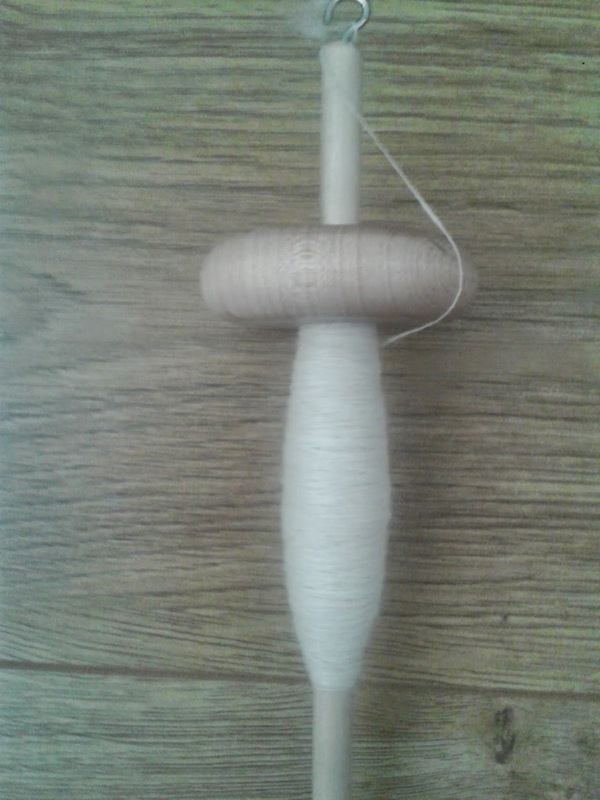 I didn't spin that much, I managed to spin for 1 hour on day one. 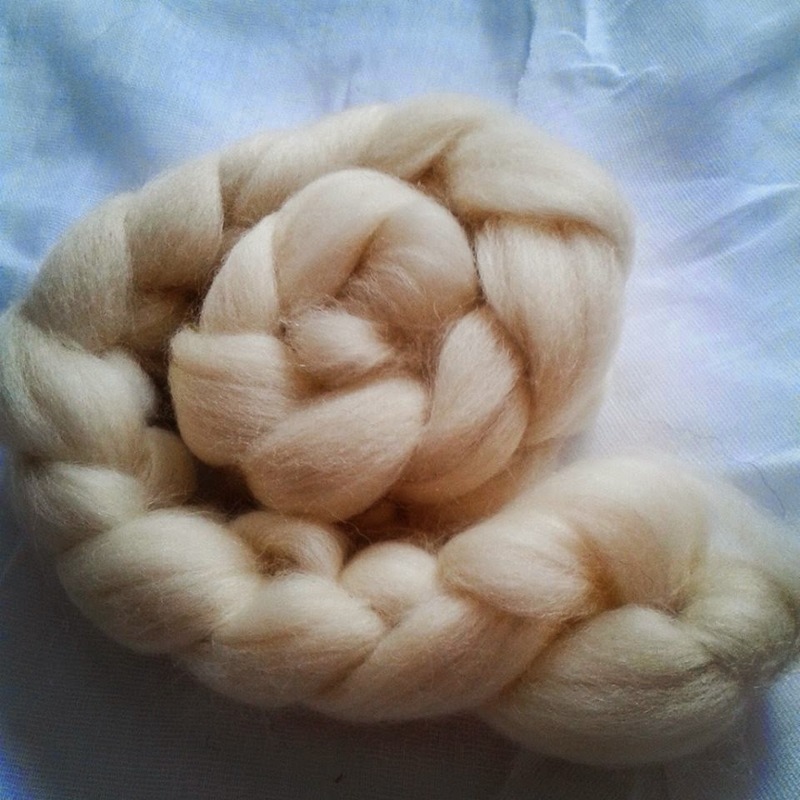 Still plenty of the white merino roving left to spin! 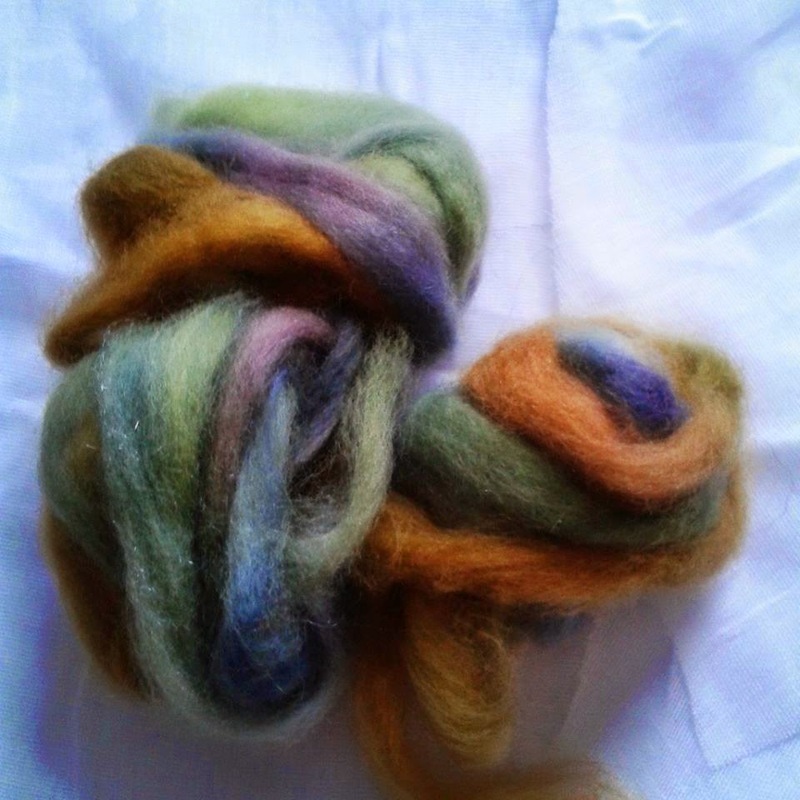 Two day's worth of spinning for me. 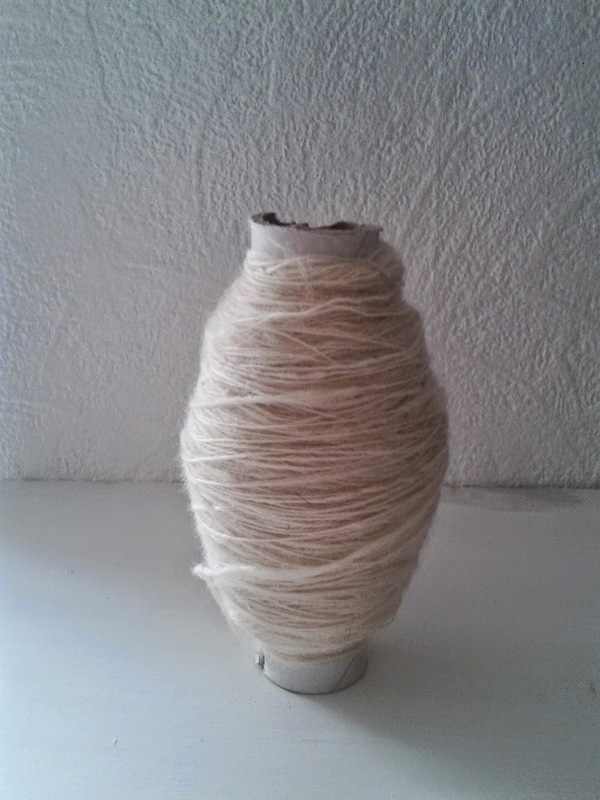 Still a bit of the white merino left to spin. 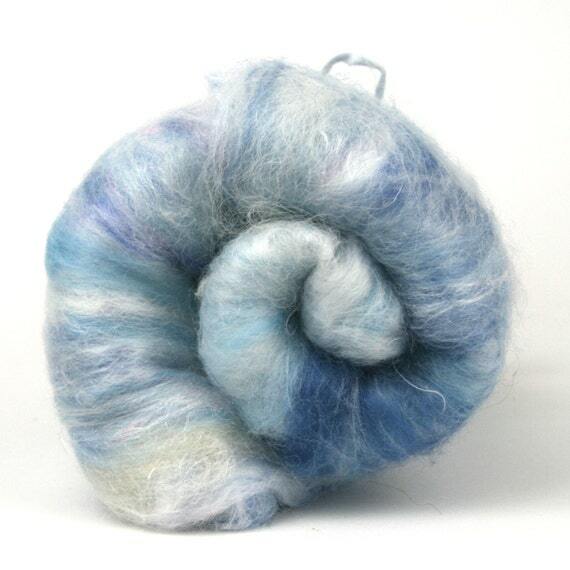 This is what I am planning on spinning on day three. 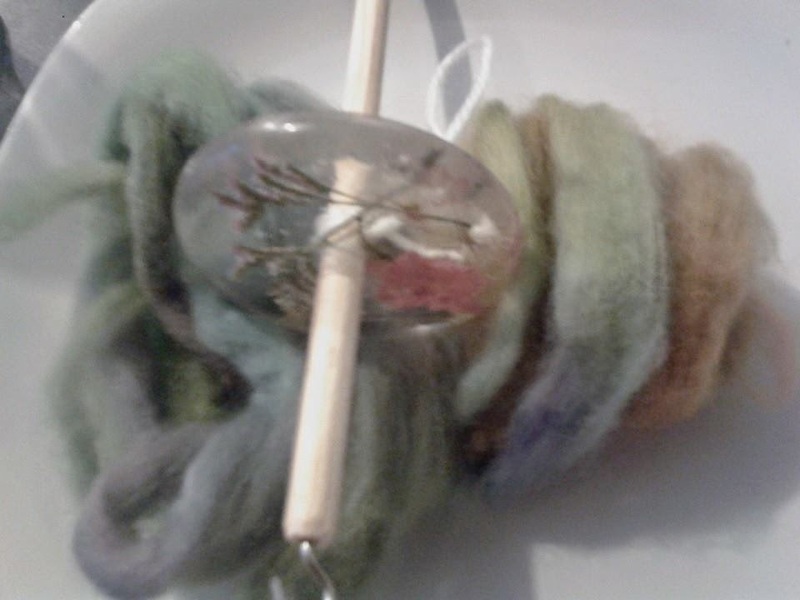 Slowly my spindle is getting full of handspun yarn! 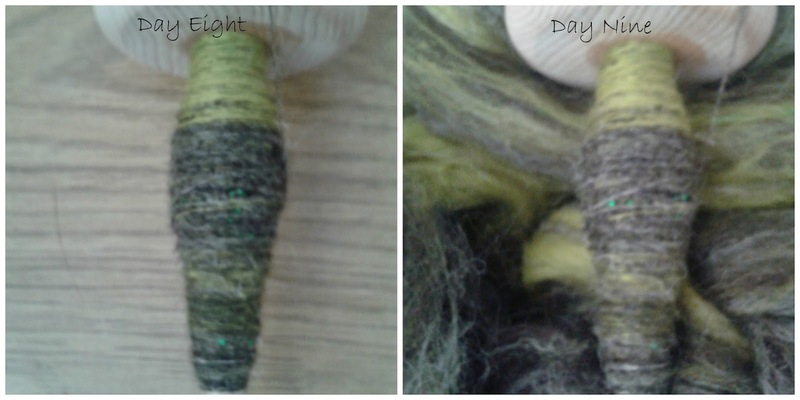 I was hoping to more spinning done today, but this is what I did for day 6. 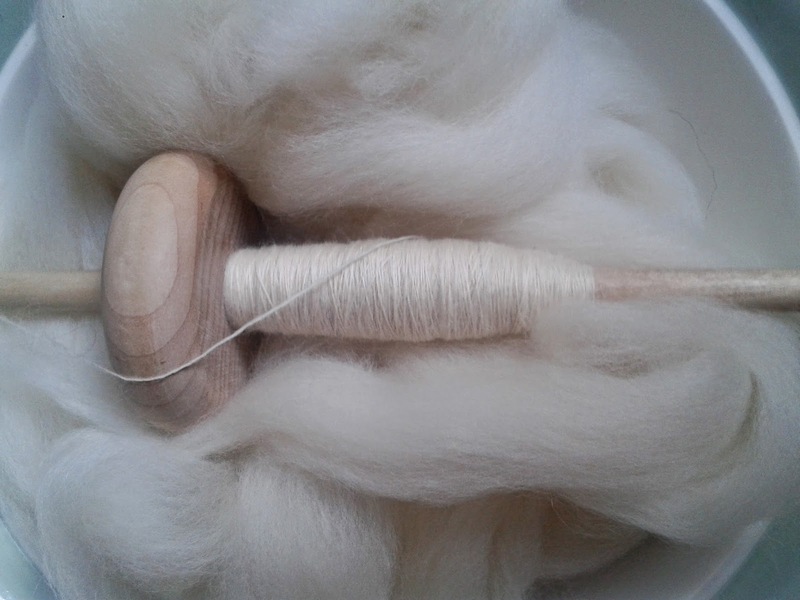 Day seven and I still have a bit of white merino roving to spin! 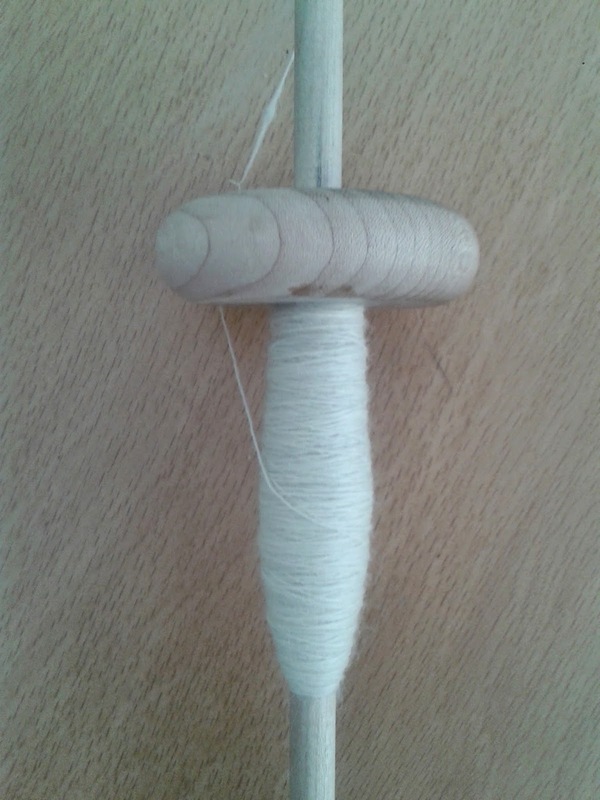 Again I did not get much spinning done today. 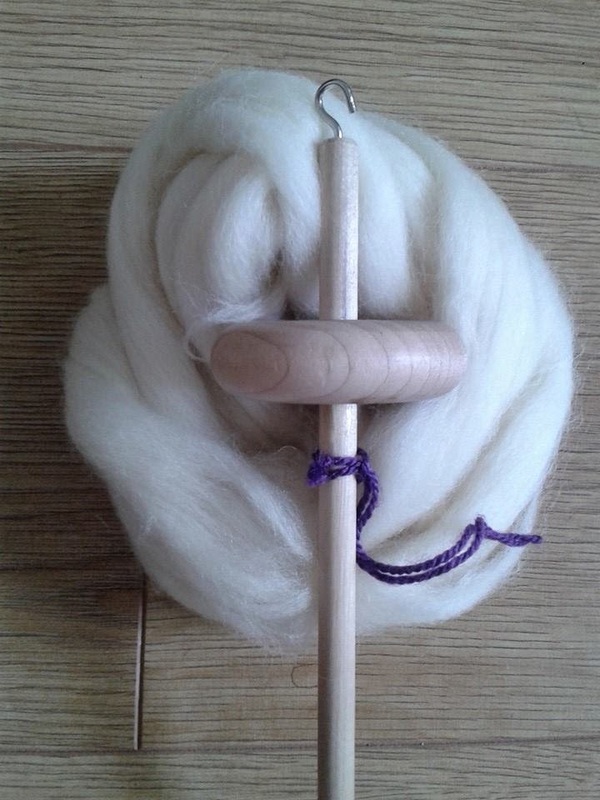 I am spinning everyday but I am not spinning for as long as I would like to on the Tour De Fleece. 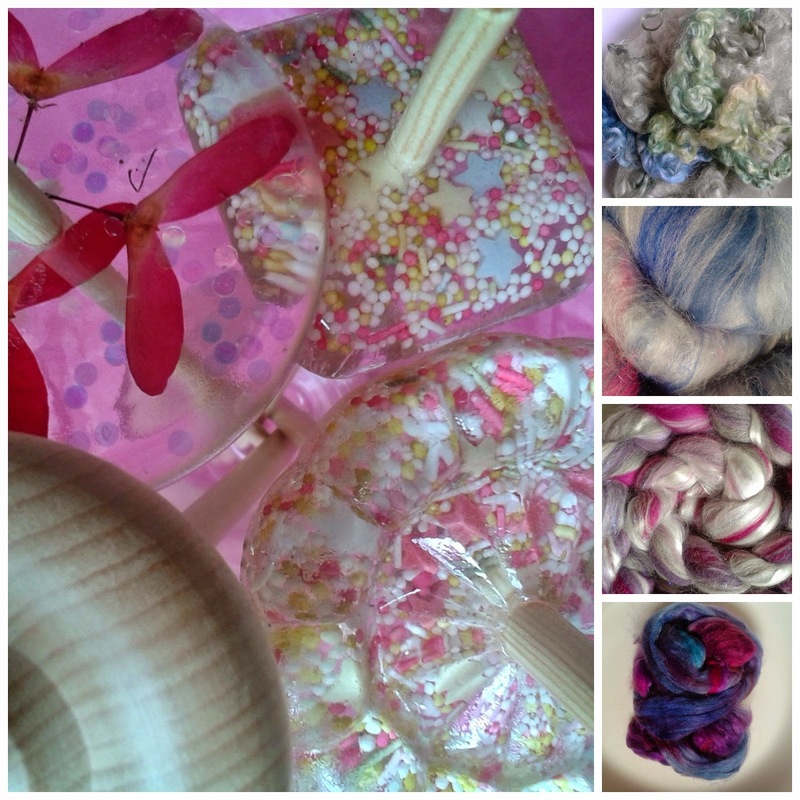 Hoping next week will be a better and I will be able to get alot more spinning done! 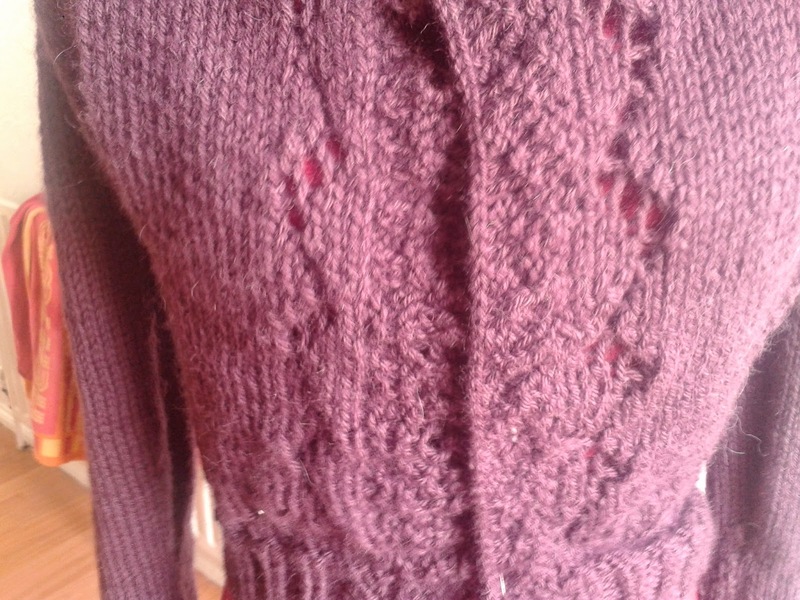 So I have finally finished the Miette cardigan. 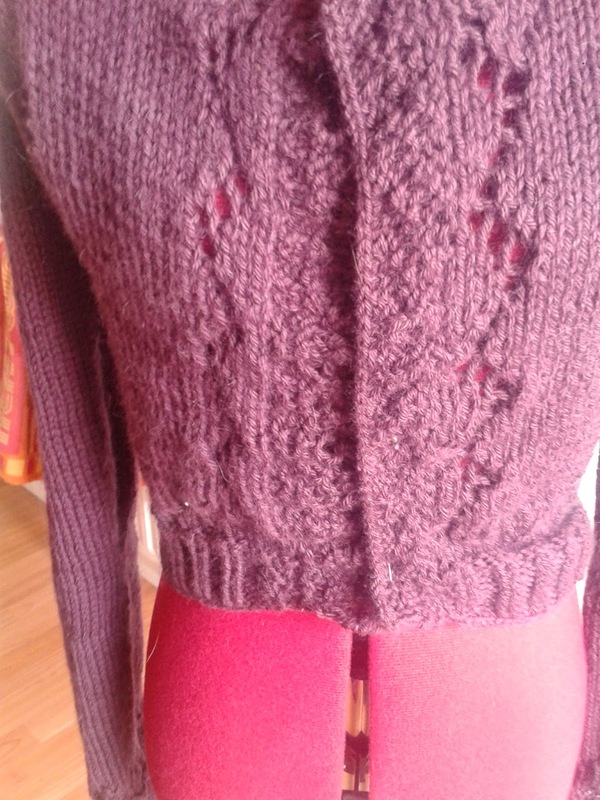 I'm Ready for Tour De Fleece 2014! 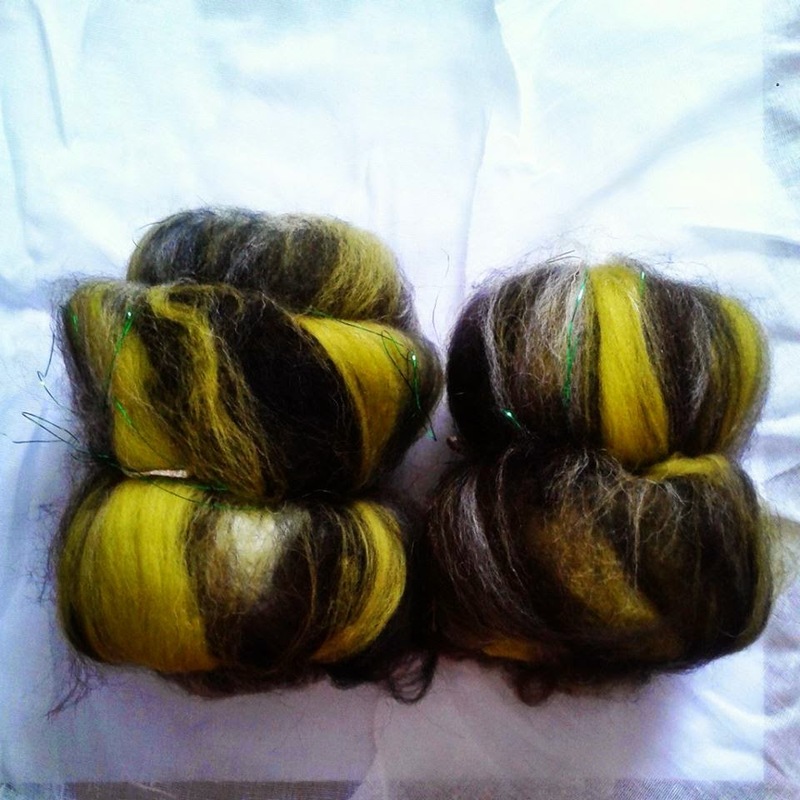 I only recently found out about the Tour De Fleece, so this year is my first year that I am joining the Tour De Fleece on Ravelry. 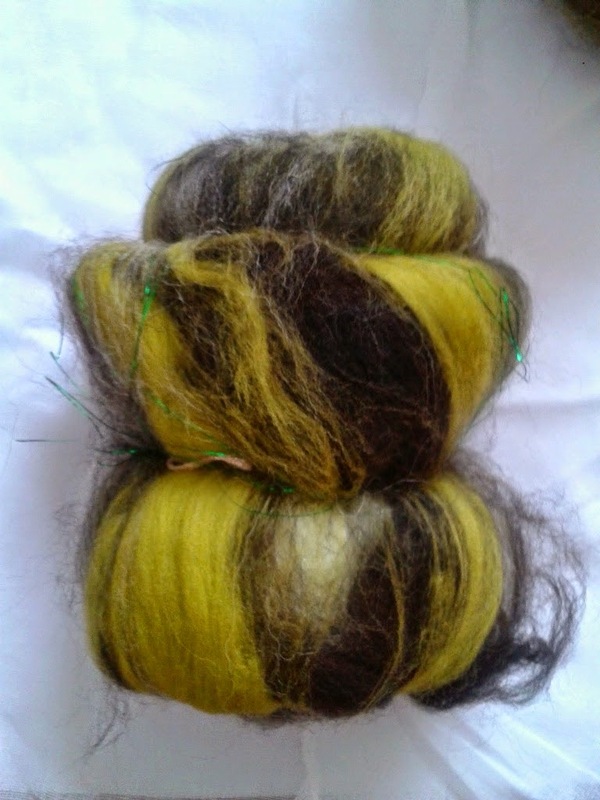 For those of you that do not know about Tour De Fleece, it is simple it is to challenge yourself, spin and have fun! 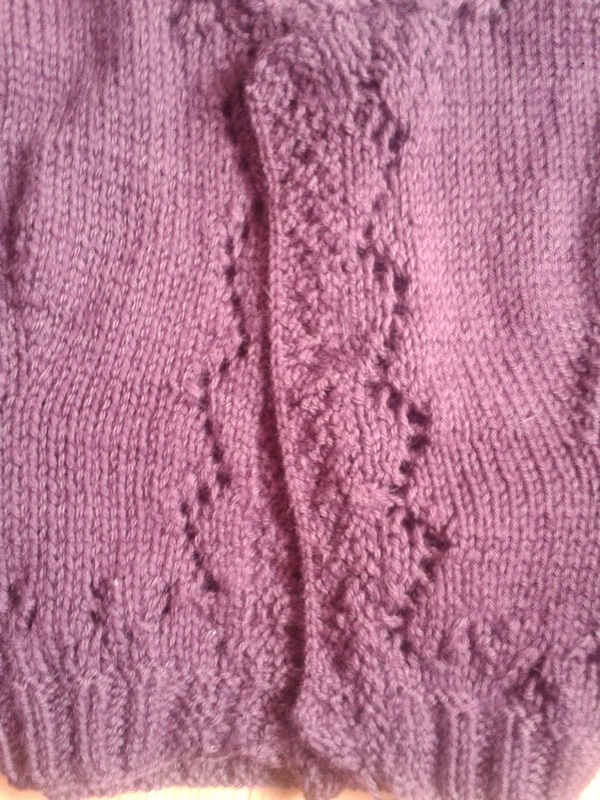 Here is a link to the guidelines on Ravelry. 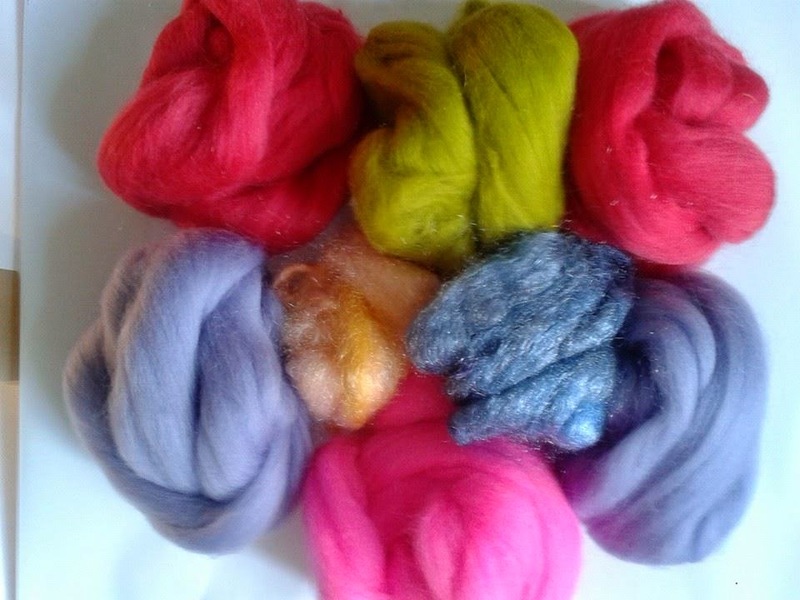 Tour De Fleece starts on Saturday 5th July to Sunday 27th July 2014. 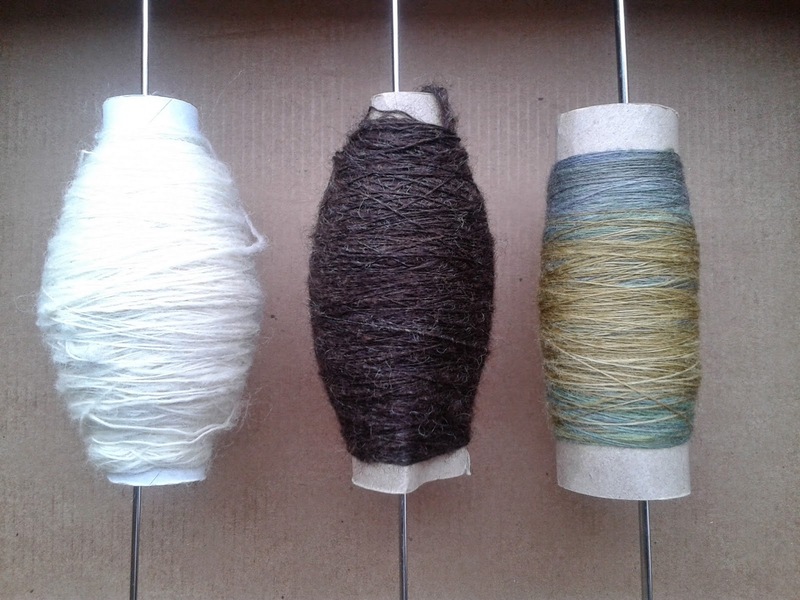 Rest days are on Tuesday 15th July and Monday 21st July . 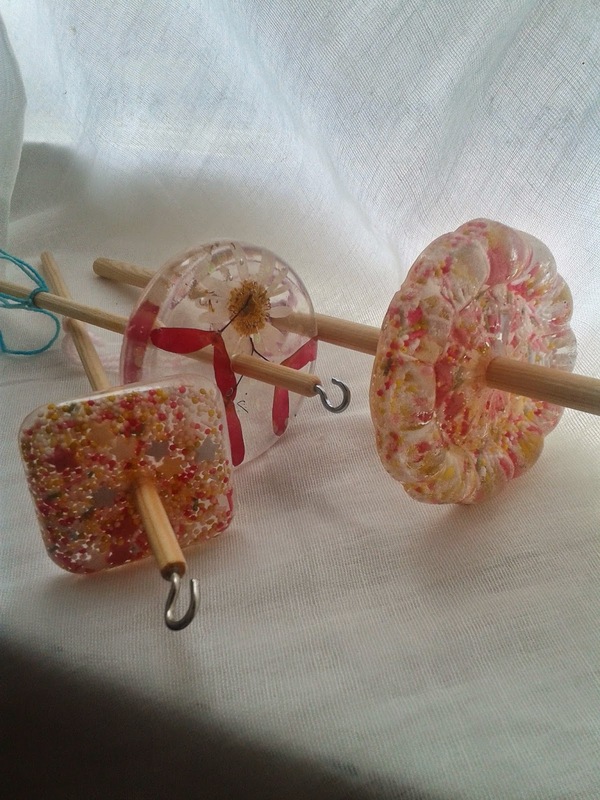 Challenge day is on Saturday 19th July, spin something challenging on challenge day. Wear yellow on Sunday 27th July to announce victory. 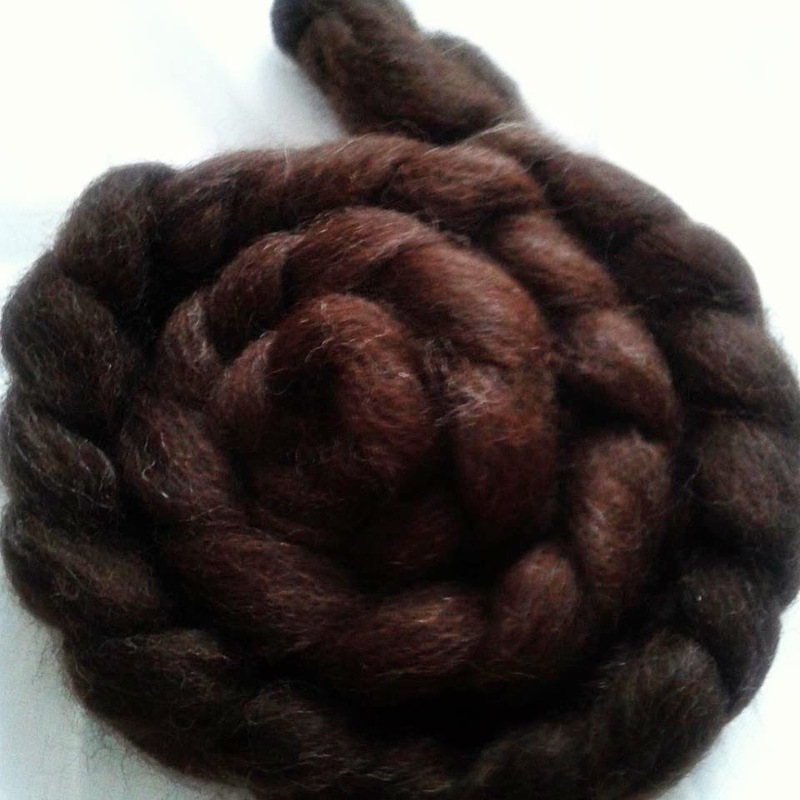 Join a group on Ravelry if you wish. 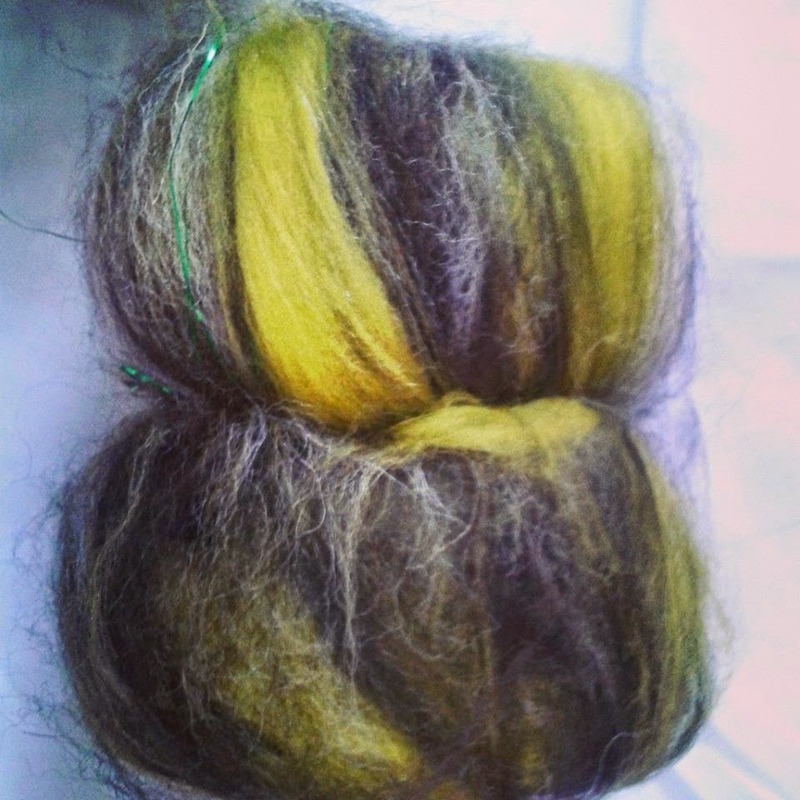 I joined the Rookies group for anyone doing the Tour De Fleece for the first time. 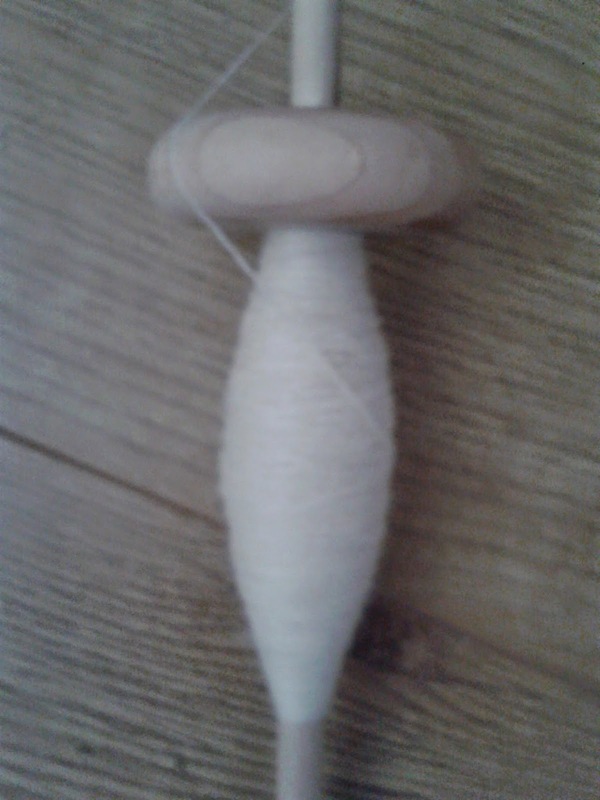 I do not have a spinning wheel, so I will be using my drop spindle I bought from Louise's shop on Etsy SpinCityUK. 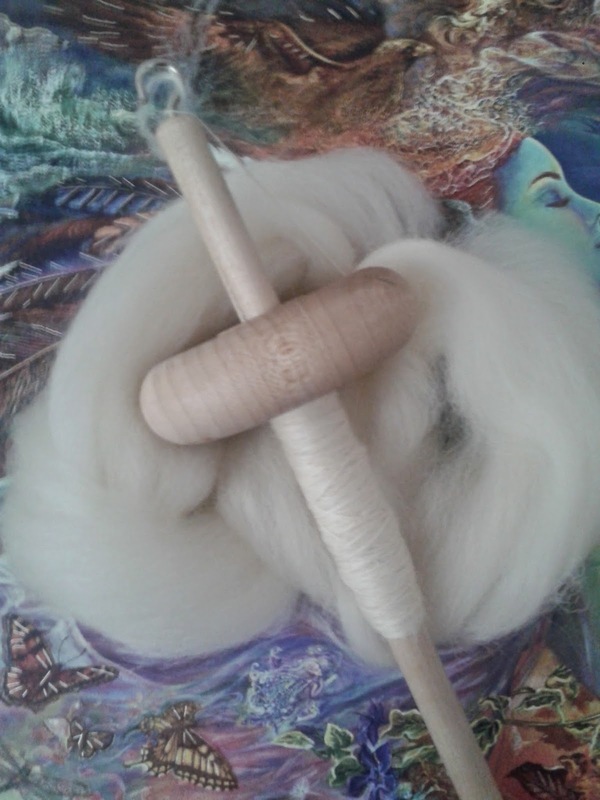 The fibre that I will be using will be a variety of fibre that was part of the Luxury Drop Spindle Kit there is 150g of fibre in this kit and I also have a custom luxury drop Spindle Kit that has another 150g of fibre. 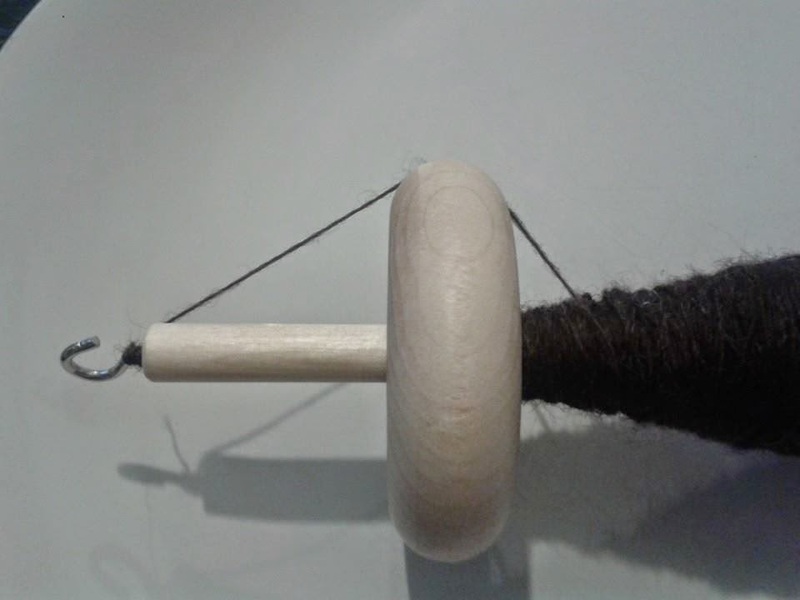 My challenge on challenge day is to spin as much as I can on that day. 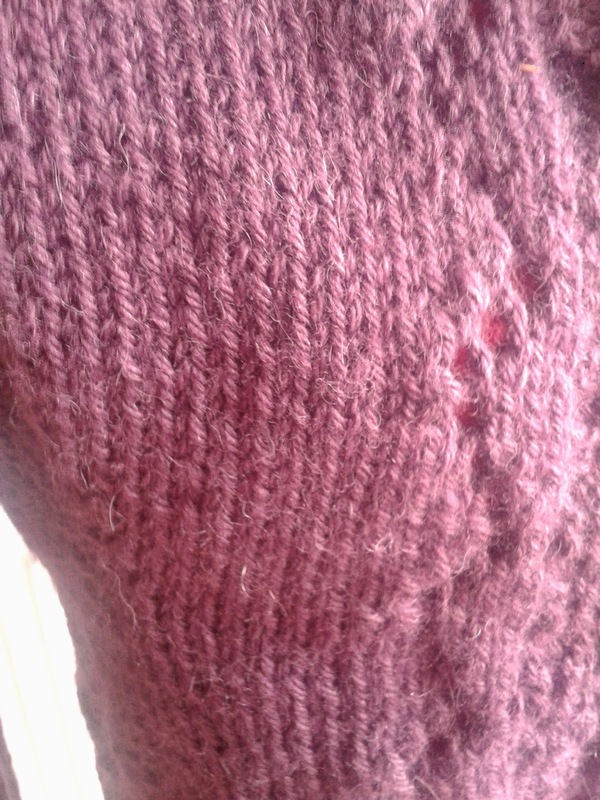 I will do an update post on how I am getting on. 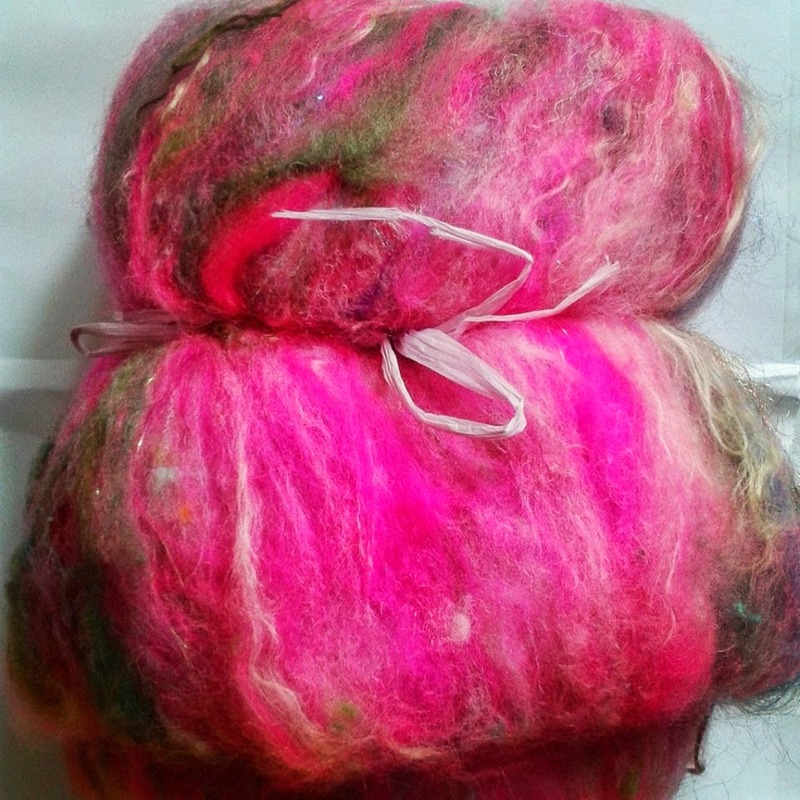 Are you taking part in the Tour De Fleece? 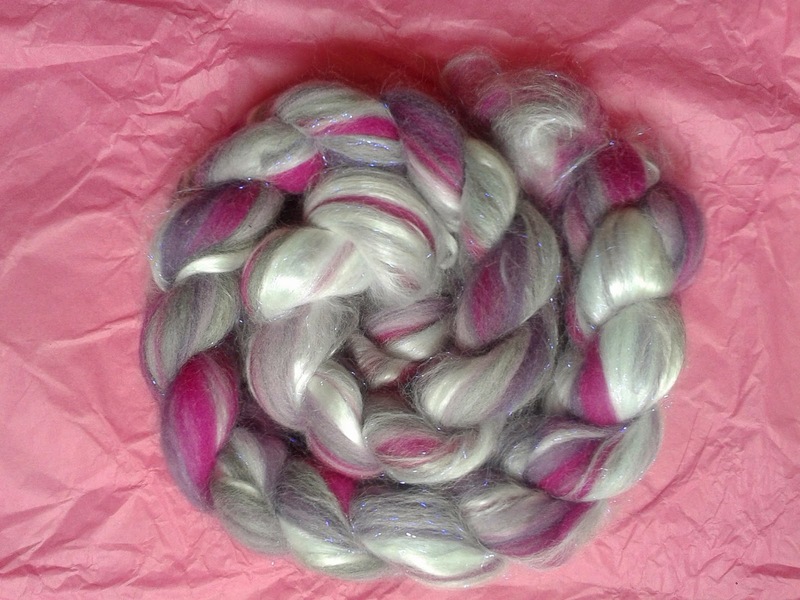 25g Hand Dyed / Hand Blended Merino Roving variegated fibre that changes colour as you spin! 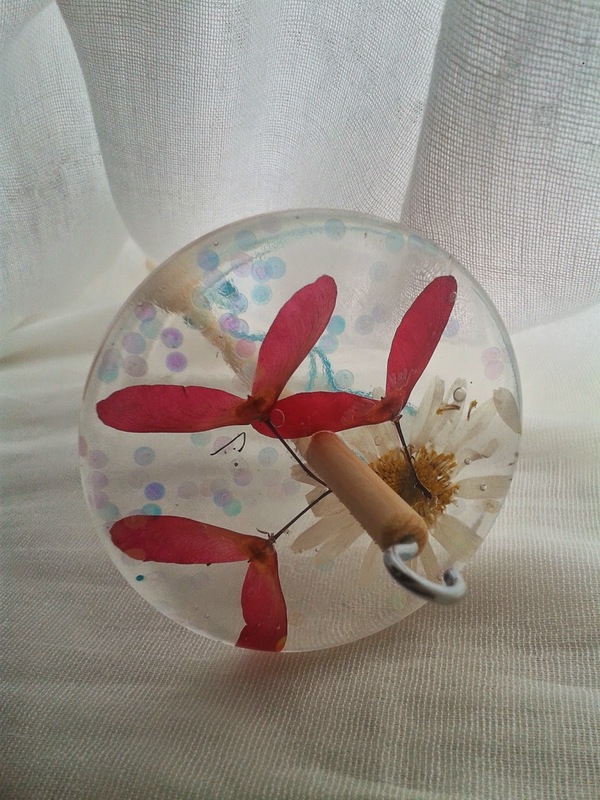 This work by Lou's Studio is licensed under a Creative Commons Attribution-NonCommercial-NoDerivs 3.0 Unported License. 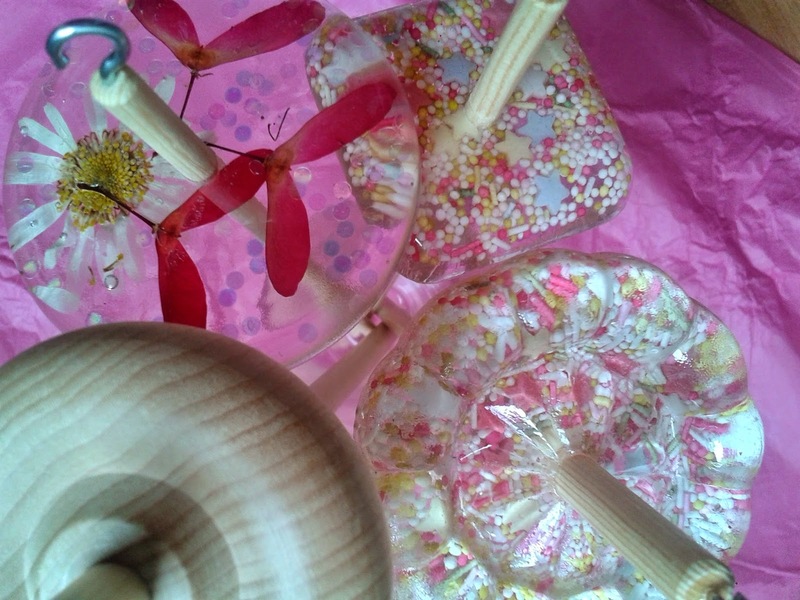 All content copyright 2013 - present Lou's Studio ~ Louise Clements. All Rights Reserved. 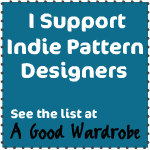 I’m happy for you to use an image so long as it’s for non-commercial purposes, you don’t alter it, you credit http://lousstudio.blogspot.co.uk and link back to the original post. 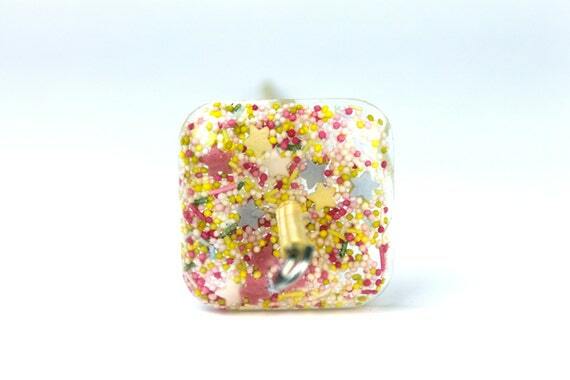 All work is my own unless otherwise credited.